The 10 Best Buffets in Nebraska! Can’t get everyone to agree on where to eat? Sometimes, a buffet-style restaurant is the only way everyone can be satisfied. The best buffets are those that serve a variety of fresh dishes, oftentimes specializing in delicious dishes you can’t find anywhere else. Eat your heart out at one of these 10 tasty buffets in Nebraska. Valentino’s has been around for more than 60 years in Nebraska serving up world-famous pizza. Grab a slice of each at their buffet which features more than 20 types of pizza, pastas, salads, and desserts. The lunch buffet at Guaca Maya Mexican Restaurant in Omaha is one not to miss. This place puts on a Mexican food feast every day at lunch time featuring a variety of meats and side dishes as well as tasty sauces to accompany your meal. Head to Hunan Chinese Restaurant in Kearney if you’re in a need of a hot and tasty meal. The buffet is a local favorite, which features dozens of authentic Chinese dishes. Hong Hing Restaurant is a great place to stop in for a quick lunch or dinner at a reasonable price. From pot stickers to lo mein, you can get your fix of a variety of authentic Chinese dishes at this Omaha staple. Tso’s Asian Buffet in Grand Island features dozens of American and Chinese dishes which are freshly-cooked and ready to enjoy. With plenty of salad and dessert options, you’ll definitely leave Tso’s with your stomach satisfied. This Chinese buffet offers both eat-in and carry-out buffet options. Load up on all your favorite Chinese dishes as well as soups and sushi. China Buffet Mongolian Grill has been named one of the area’s best buffets for 14 years in a row. Craving some authentic Indian cuisine? Then visit Flavors Indian Cuisine in Omaha for their lunch buffet for a variety of vegetarian and non-vegetarian dishes all served with rice, naan, and other side dishes. 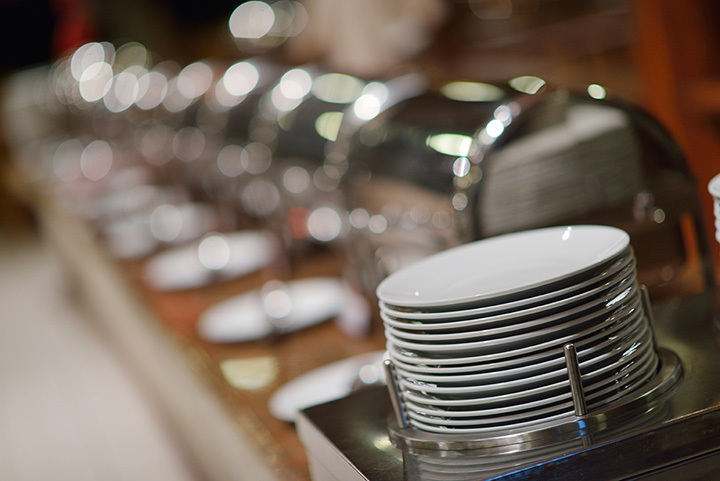 The Buffet House in Grand Island offers a tasty Chinese buffet that includes hot and fresh dishes at reasonable prices. Enjoy wonton soup and dozens of beef, pork, chicken and vegetable dishes. The Amazing Pizza Machine in Omaha is a local favorite for food and family fun. The buffet offers over 100 dishes, including unlimited pizza, soup, salads, pasta, tacos, baked potatoes, bakery breads, and dessert. Amazing! HuHot Mongolian Grill offers fast, fresh, and healthy Asian-inspired dishes. Select all of the meat and vegetables that you want and watch the skilled grill warriors cook your meal to perfection.